Apparently the foe for this movie will once again be Emperor Zod! Mind you, Snyder did a visually appealing adaptation of 300 and Watchmen, and he did that Sucker Punch movie. He tends to miss the mark in terms of plot and writing, but Superman is straightforward enough. Right? I think the hope is that, since he's producing, Christopher Nolan will make sure the plot's good and leave the pretties to Snyder. I don't even like Superman but this looks awesome. Why do you say that exactly? And damn that movie looks good. I don't know what to think. Visually it's very dark and tonally it seems quite serious. Plus I don't have confidence in any of the creatives involved based on their prior work. I usually absolutely love Snyder's trailers while not really liking his movies. So that fact that the trailer doesn't do a whole lot for me might be a good sign. Eh, shall see. 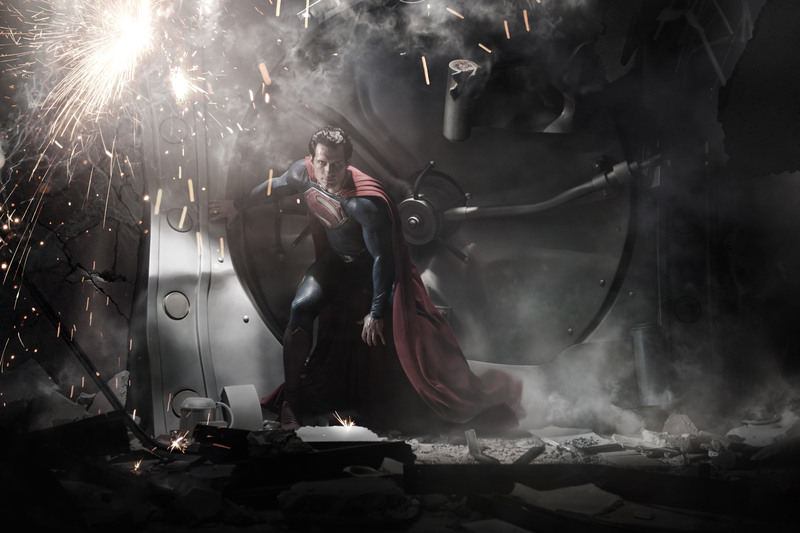 As long as Superman punches someone, it will be an improvement over the last film. The take off was pretty cool. I am here with you..